It was a typical working day in 2015 when Andre Dantzler, the founder of SociallyU, contacted Nascenia. SociallyU is a software solution development firm focusing on online content delivery and communication which was launched in 2009. Andre emailed Nascenia when their developer left the team for an unavoidable reason and there was void in their team to complete the project. Fuad Omar, the COO of Nascenia, had a series of meetings with Andre to get the details. Unlike many clients, Andre was quite clear about what he wanted. He made a video for Nascenia with the demo of his product. In case LearnSocially has not crossed your path yet, let us do the honor. LearnSocially, the flagship product of SociallyU, is a SAAS platform to create online learning environments. One can create online courses through the web interface to reach end users. From website hosting to payment processing, everything is managed within the platform. A client of this platform needs to create only teaching materials. Clients will start earning as soon as someone purchases those course materials. SociallyU has a studio of its own which clients can use to prepare their videos or tutorials. The initial vision was to create a platform that can support online teaching/learning and simultaneously incorporate different payment methods. Lots of products focus on social networking and many others on e-learning, but none combine the strengths of both and integrate a sophisticated subscription payment and ad campaign system in one seamless engine the way LearnSocially does. Andre was not entirely optimistic about offshoring development work. Therefore he asked for a one month trial period. Nascenia assigned its developers to handle the issues and completed the trial period successfully. 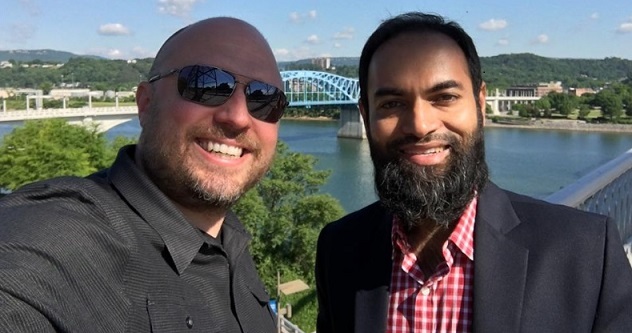 On an appropriate opportunity, CEO of Nascenia Shaer Hassan met Andre and his team at Chattanooga, Tennessee. Nascenia continues to work on the development of LearnSocially. In the early period, one of the most challenging tasks that Nascenia helped to tackle was to “Upload videos directly to Amazon S3 from a browser without involving LearnSocially server. Then encode the videos to different formats on the fly through Zencoder.” One of the main features of LearnSocially is the tutorial videos. As people from different places with various internet speeds watch the videos, LearnSocially had to transcode the uploaded videos to 144p, 360p, and 1080p resolutions. It was previously done as stated below. The video was uploaded to LearnSocially server. Inside the server, there was a worker that did the transcoding tasks. After transcoding, the video was then uploaded to Amazon S3. But LearnSocially faced two main problems. As lots of videos were being uploaded, it consumed lots of bandwidth, which was expensive. This is because bandwidth was consumed at the time of uploading the videos to LearnSocially server and also at the time of uploading the transcoded videos to Amazon S3. Besides, a third party named ‘Zencoder’ does the same thing more efficiently at lower cost. So they wanted to move to Zencoder. Videos can be uploaded directly to Amazon S3 without involving Learnsocially server. Zencoder accesses the video from their server and transcodes it. Zencoder uploads the transcoded videos to Amazon S3 server. Zencoder sends a notification to LearnSocially server about the successful completion of the operation. Development of Quiz section to make the quizzing awesome. Through the new quiz section, the users of LearnSocially can prepare quizzes using fill in the blank, rearranging text, multiple choice, choosing the correct image, and multiple choice based on an image, video, or audio clip. Moreover, every question can now be customized to the admin user’s choice. Add 150 responsive blocks to page builder. The client provided Nascenia a theme containing 20 responsive pages, each of which contains around 12 sections. The developers separated all the sections from all the responsive pages, selected nearly 150 sections from the theme, then converted each of them to page building blocks. Then they built a responsive page builder in which any page can be customized by dragging, dropping and editing the blocks. The whole project started as an outsourcing activity for Nascenia. As soon as Nascenia completed the initial responsibilities assigned they started working as a development partner. Since then one developer of SociallyU and one of Nascenia are working together full-time on LearnSocially. In the meantime, Nascenia assigned one additional developer for a certain time when work pressure was high. To build this SAAS platform Nascenia used Ruby on Rails, MySQL, HTML5, CSS3, JQuery, and Backbone. Nascenia has worked before for several learning/teaching platforms like Khan Academy and School IT. Nonetheless, it has learned a lot from this collaboration.